Welcome to the first in INSIDE F&B’S new grape series, “Try Another Sip.” This new column, written by wine expert Susannah Gold, sets out to explore a variety of interesting alternatives to some of the bland and unimaginative wine offerings that populate wine lists everywhere. No better place to start than with the workhorse of white wines, Pinot Grigio. Though often considered an easy-sell wine with little personality this grape, if grown on optimal terroirs at higher elevations, and handled properly, can yield compelling, complex wines with lots of pizzazz and flavor. When Pinot Grigio is great it offers up interesting textures and beautiful white stone fruit flavors and aromas. Yet these exciting Pinot Grigios are mostly absent, sadly. For many years, what we have seen is a race to the bottom for much of this varietal. This varietal pops up on US wine lists most often under the Santa Margherita label. They can legitimately boast that theirs is the most widely selling Pinot Grigio here in the States. Other brands, trying to get in on the list, have not always sent competitively worthy wines. However, there is a lot going on today with Pinot Grigio including wines made from single vineyards and growing grapes at higher elevations. Grapes grown at higher elevations tend to have higher acidity levels and the wines that are made from these carefully selected grapes have a better overall balance between acidity and alcohol. 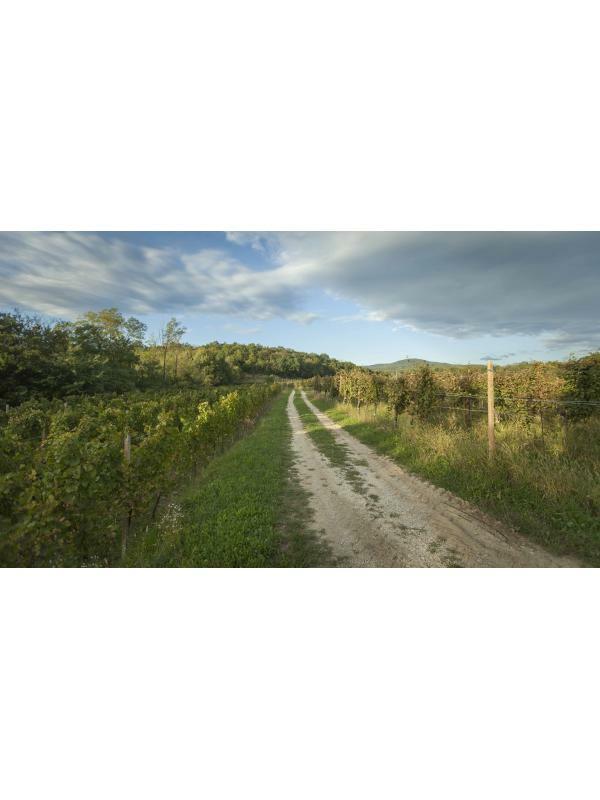 In turn, these factors are bringing better examples of Pinot Grigio to market. Rather than emulating those ABC types who shy away from Chardonnay–Anything But Chardonnay-make time to seek out Pinot Grigio again. Otherwise you are sure to miss out on some great wine list opportunities. A well-made Pinot Grigio offers versatility to your wine list with an ability to please a variety of white wine drinkers. It can be made in many styles; some dry and others with considerable residual sugar. A lot of that depends on the winemaker and his/her regional traditions and preferences. Pinot Grigios are known by that name across the globe. In addition to finding it in Italy, lots of Pinot Grigio is also grown in California, Australia and Germany. When you find it in France, or in Oregon or in New Zealand, it is often called Pinot Gris. Yet it’s made from the same grape, a member of the Pinot Nero family. In these places outside of Italy, where it is called Pinot Gris, it seems to signal more careful attention to detail in the winemaking process. Is this a bias against traditionalism or just a new trend cloaking a familiar wine? Certainly, in places like Oregon or New Zealand they seem to be carefully signaling that they want to identify with French Pinot Gris rather than Italian Pinot Grigio. That may soon change due to the new activity in Italy’s Pinot Grigio regions that warrant us taking another look at this familiar grape. Italy’s Pinot Grigio comes principally from three regions: the Veneto, Friuli Venezia Giulia and Trentino-Alto Adige. Recent trade tastings revealed numerous examples of memorable Pinot from the Colli Orientali del Friuli, Grave, and the Collio, as well as from the Isonzo DOC. These are much higher quality wines made with carefully selected grapes and close attention to vinification. In these areas, Pinot Grigio has a history and tradition. It is not grown merely because it is widely loved in the USA. If you want to expand your US dining customers’ horizons what should you be keeping your eye on to find some of the most interesting Pinot Grigio wines available? For sure keep track of these two Pinot Grigio fanatics -Marco Simonit and Pierpaolo Sirch. Known as the “Super Pruners” because of the work they do worldwide on pruning techniques. They come from Friuli and are working to create a Pinot Grigio district in the Colli Orientali del Friuli. They believe so strongly that Pinot Grigio grown on hills in their region is completely different than those mostly found on wine lists in the USA that they have bought more vineyards there and are expanding their holdings. Sirch family has had a winery for many years. Wines made on the hills tend to have soils with good drainage, and larger swings in thermal excursion between day and night and better exposition to the sun. 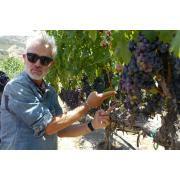 Additionally, because it is harder to farm on the hills, producers tend to put grapes they care about there. Simonit and Sirch also believe that Pinot Grigio is a grape that does not necessarily produce better wines when yields as severely restricted. Together with Terlato Imports, Simonit and Sirch, their partner in the new Pinot Grigio challenge, are working to create a signature variety for Friuli that will pay off for farmers and producers alike. And that will justify the slightly higher prices than Pinot Grigio typically commands. These new and improved Pinot Grigio wines are going to face a daunting initial challenge. They will be priced higher than the typical $10 range that guests are used to seeing in a by the glass program. How to justify it? Your bar and floor staff will have to enlighten your guests and show them that the wine is of higher quality and made from hand selected grapes. Producers are hopeful that consumers will pay a little more for a better quality of something they are already intimately familiar with once they understand what’s really in their glass. This hand-sell educational process isn’t without precedent. It has worked. Alsace has done a terrific job in getting guests to pay a slightly higher price for a Pinot Gris by the glass. They have built an exceptional reputation thanks to the heavy hitters in the Alsatian wine world, who have long been in the USA and have undertaken great marketing campaigns. Hugel & Fils, the wine producer, is a case in point. The Alsatian experience suggests that Pinot Gris can age well also, making it seem more valuable to customers than some young wine just weeks from being grapes on the vine. The Pinot Gris wines from Alsace generally tend to have more residual sugar than those from Italy. The acidity in Pinot Grigio can be pronounced. It’s also got some weight on the palate. In Italy, Pinot Grigio tends to have an almond note on the finish, like many Italian white wines. We have all had plenty of glasses of Pinot Grigio that have been dull or insipid. This no longer has to be the case. It is time for beverage directors to rethink their Pinot Grigio by the glass offerings, and see if customers like some of the producers they may not know as well. These new Pinot Grigio entries are exciting and racy and great for an aperitivo or a first course. So, while it is said that familiarity breed’s contempt, it is time to put preconceived notions aside because, luckily in the wine world, what is old can be new again.